The fairy tale retelling trend is really fun! I loved the way Lucy McConnell did this one. There are so many parts where it feels like a Disney Movie. And so many parts where it feels like a Hallmark movie. I really loved everything about it! Let’s talk about Bella. She’s a vibrant young woman. When first we meet her in the story, she’s on her way to get married to her fiance, Charles. Only they’re just going to get married in the courthouse by a justice of the peace. I love the way she finds joy in the situation and wears her favorite yellow dress. In fact, she seems to find joy in almost every situation, even when things are going wrong. I loved her strength, her sense of right and wrong and her work ethic. Then there’s Adam. He’s known, not so affectionately, as The Beast. He meets Bella going into the courthouse. Little could either of them know that their lives are about to change. They’re going to be thrown together. Adam is a lawyer and he wins his case, but as he’s leaving court, the defendant throws acid on him, ruining his face. I loved the way Adam’s heart begins to open during this story. The plot of this one is so much fun! I loved everything about it. Make sure to read it! I can’t wait for more. 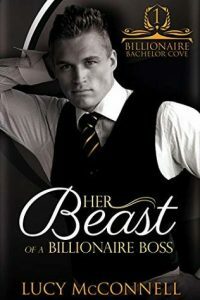 I borrowed Her Beast of a Billionaire Boss for free from Kindle Unlimited. All opinions are my own.